“Consumers have a lot of curiosity about our products,” says Cathy Dial, head of consumer affairs at Frito-Lay. “They want to know where we get the ideas for our flavors.” With flavors that range from zesty taco and fiery habanero, to sizzlin’ picante and cheeseburger (seriously), who hasn’t pondered what culinary mastermind is behind Frito-Lay’s wild-tasting chips and snacks. 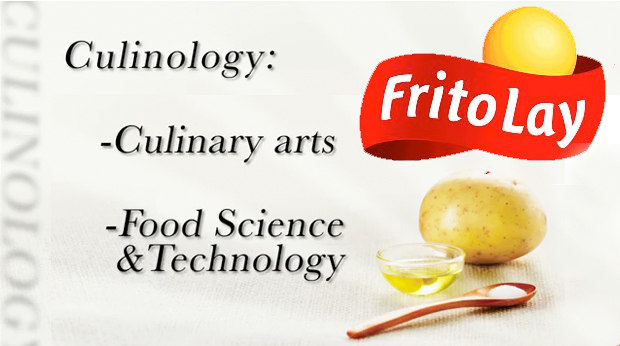 Meet Stephen Kalil, executive research chef at the Frito-Lay Culinary Innovation Center. Kalil has been in the business over 20 years, and is now “tasked with bringing culinary excellence” to the snack factory and integrating that with excellence in food science. “We’re leveraging a discipline that we call culinology,” he told Lay’s lovers in a recently released video. Check out the video below to see more of Frito-Lay’s Innovation Center and to hear Dial and Kalil chat more about “culinology.” Easily the best part is the 50 angles of Dial experiencing the Carolina BBQ chip like it’s some Michelin-starred gastronomical wonder. I guess that’s what you get for investing in “culinology.” Nom, nom.